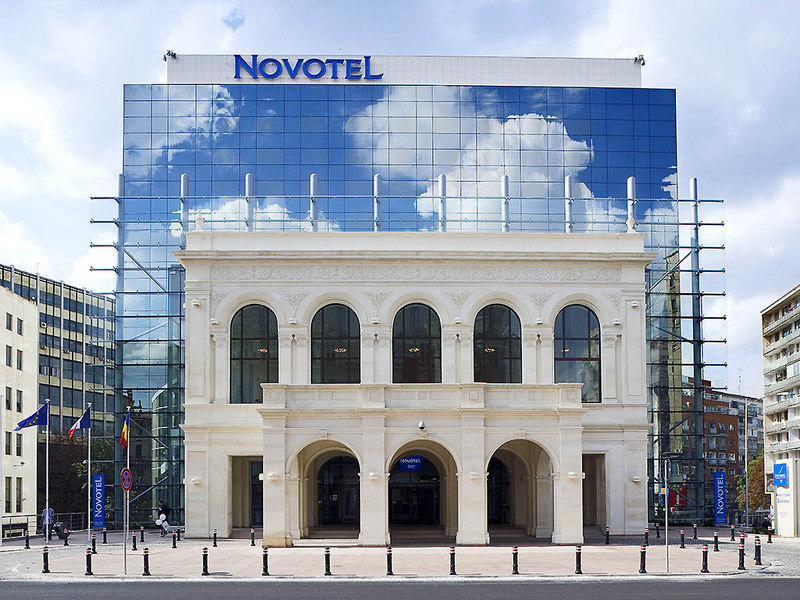 Enjoy contemporary 4-star comfort a few minutes' walk from the Old Town at Novotel Bucharest City Centre hotel. Clean lines and muted colours make your airy room a haven for work or pleasure. Start your day brightly with a tasty buffet breakfast in the sunlit restaurant, and savour drinks with a view on the terrace at Novotel. Restaurant open till 11 p.m., bar till 2 a.m.
Espaçoso, de design contemporâneo e perfeitamente modulável, o quarto Novotel é um verdadeiro espaço para viver, adaptando-se a todas as exigências. Winestone Victoriei 37 pairs accessible, regional-inspired cuisine with a creative selection of Romanian and international wines, in a vibrant and sophisticated setting.